I heard yesterday from a shopkeeper in Lyme that Woolworth's stock was being stripped at half price all the staff have been made redundant and Tesco had bought the store and the car park?. Presumably this will be a Tesco Express. Goodbye all the Broad Street food/drink stores. Unless I have been comatose for the last few weeks, how does a fairly significant change such as this happen so fast, without public knowledge and inevitable debate? Posted: 16/10/08, 11:46 Post subject: Shame ! Good God, that was kept quiet. Surely this must have been known about for months ? What a shame, there's always been a Woolies in Lyme ever since I first came here on holiday as a kid in the 60's. Presumably if the evil one sets up there, it will eventually drive the Co-Op, the off-license and the fruit/veg shop out of business. Agree all points! We have all seen great sensitivity within Lyme to any external features which may not be " in keeping " with the town, for example the Bay Hotel row over signs, and of course the Bay hotel extension. I also recall a spat about a window replacement which was not just so in Broad Street. This change however, will without doubt take out the Co-op, Threshers, and probably at least two fresh food shops, yet it seems to have been done secretly, at least it was a shock to the locals I spoke to. Cannot understand how the local papers did not get wind of this, as it will certainly change the main street significantly. 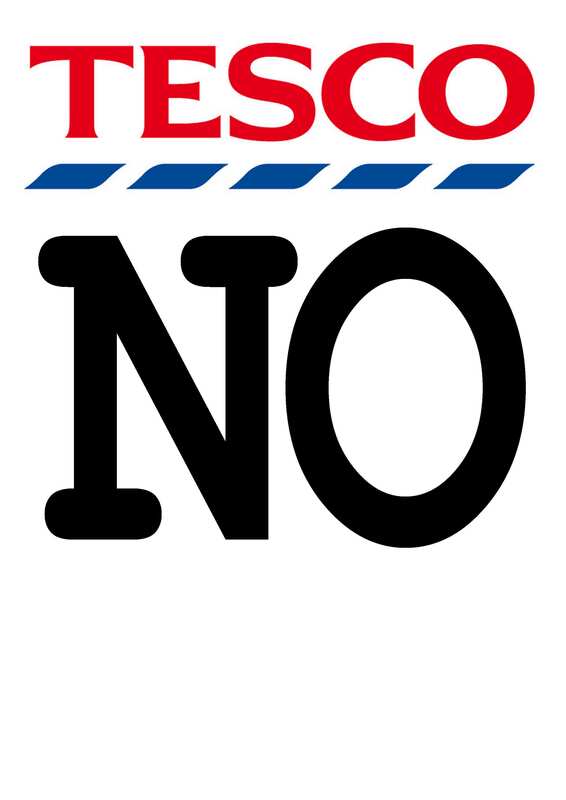 No one I have spoken to wants this change, but it seems nothing can stop Tescos death grip tightening on small towns like Lyme. In our case however, I don't suppose a change of use is involved, so it won't have to go through the planners for approval or rejection, so we are stuck with it. It is just a great pity the Town Council did not come forward and speak up for the existing smaller traders who will be so badly affected by this step. I doubt if Woolies has a liquor licence? Drinks are sold in Tesco Express, achilles heel perhaps? In the meantime here is a poster you can print out and display. There is room at the bottom for you to add your own thoughts or slogan. What's the latest on this one ? Any idea when the evil one moves in ? ?